Yorkshire Water plans to offer more opportunities for third-party companies to enhance how it transports, treats and recycles sludge. The firm spends around 10 per cent of its annual operating costs treating 150,000 tonnes of sewage sludge each year. Currently 69 per cent is converted into renewable energy via anaerobic digestion, which Yorkshire Water plans to get to 100 per cent in 2020. The company said it will “embrace” the sludge treatment market as part of an industry-wide effort to “drive efficiency, boost resilience and deliver further innovation” within the water sector. The sludge treatment (bioresources market), is estimated to be worth up to £1.6 billion in the UK. Ben Roche, head of energy & recycling at Yorkshire Water, said: “We want to build even more relationships with expert companies operating in the bioresources market who can open us up to efficient technologies, new recycling avenues and cost-efficiencies that ultimately will help us keep customers’ bills down and make us even more resilient. 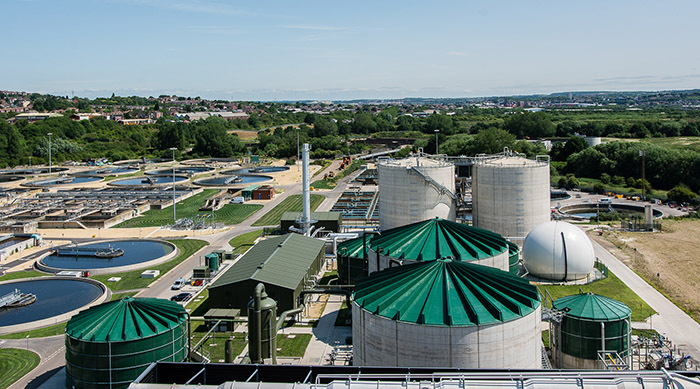 Yorkshire Water has 11 anaerobic digester plants across the region which treat sludge by converting into a biogas. That is then turned into green electricity used to provide the power to operate the firm’s sewage treatment works. A fertiliser is also created to be used in agriculture. The company said the renewable energy benefits of sludge treatment is helping it keep costs down for customers. It said it has continued to invest in anaerobic digestion in a move which will deliver “significantly lower operating costs” by 2020. Ofwat, has stipulated that water companies should voluntarily share bioresources market information by November and do so on a compulsory basis by July 2018. Yorkshire Water recently announced it is introducing a series of measures to help reduce the risk of flooding in Calderdale, west Yorkshire.